On Black Friday, I scoured all of the beauty websites trying to decide what to buy or if there was anything that caught my eye. I have never really bothered with Black Friday before but after hearing all the great deals my friends had found, I thought why not has a browse. Whilst I did not find any great bargains, I decided to take advantage of ASOS' 20% off and get some new beauty goodies. 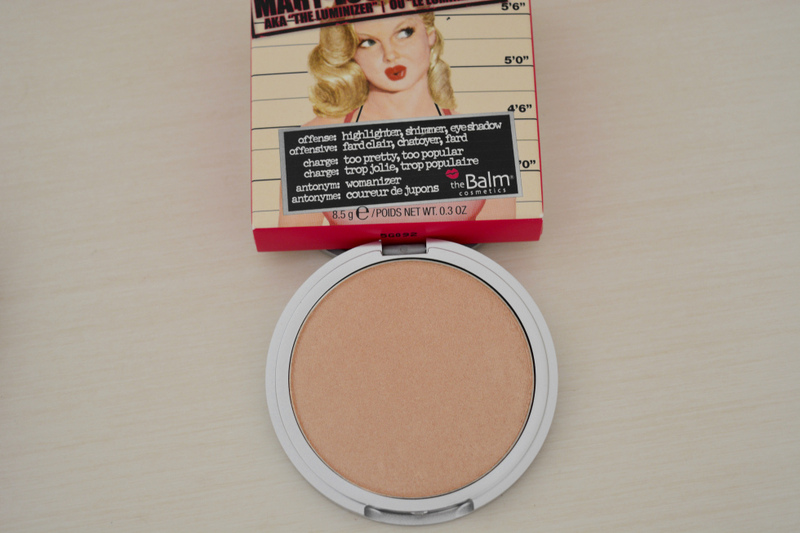 I have had my eye on theBalm's Mary Lou Manizer for quite some time and finally took the plunge. I have heard such great things about theBalm highlighter and was beyond excited to finally put it to the test. It is stunning and looks very glittery, which is what first drew me to it, that and the packaging of course. Product description: Meet Mary-Lou Manizer, a seemingly innocent honey-hued luminizer that catches everybody’s eye. This highlighter, shadow and shimmer diffuses light so your skin looks softer and younger while adding a subtle glow. 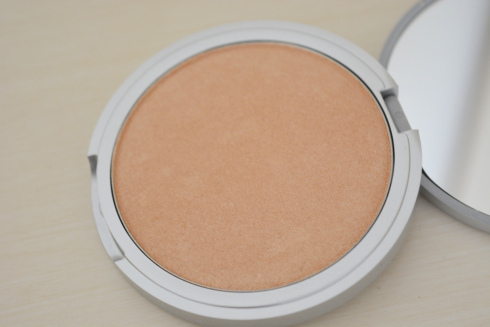 I love multipurpose products and this one has a threefold use: eyes, cheeks or everywhere. 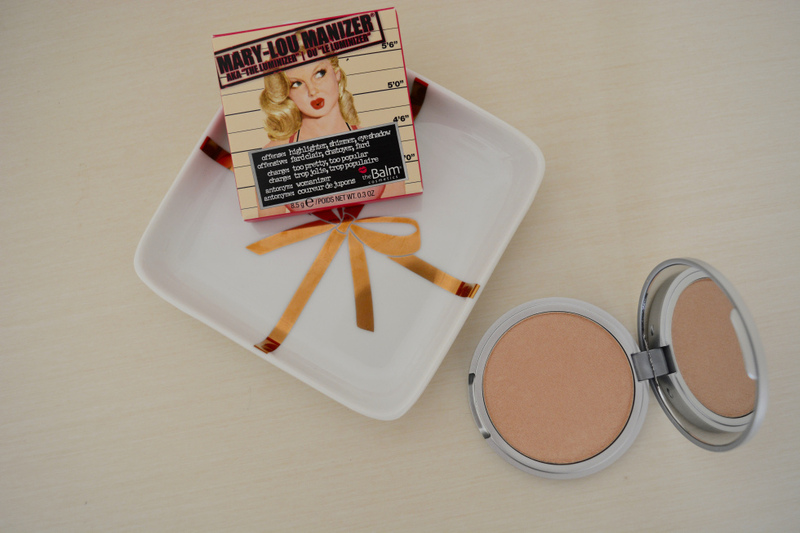 theBalm Mary Lou Manizer Luminzer can be applied on your eyelids for a natural shimmer, swept across your cheeks for a stunning glow or used all over your face as a finishing touch. I have used it on my cheeks along with my normal contour regime and it does wonders to highlight my cheekbones. It adds a beautiful subtle glow, which brightens my complexion and looks radiant. It also goes really nicely on my eyelids and I got quite a few compliments when I had it on, even a tiny amount swept across your lids really makes a big difference. I am beyond impressed with this little gem and it has become my must have highlighter! I LOVE HOW GLITTERY IT IS!! The pigmentation of the highlighter is amazing and it transfers across really well, it is exactly the same off as it is on. I have used quite a few disappointing highlighters in the past that don't look as good on or fade really easily, but not this one. The pigments help to highlight and define the chosen areas on your face, leaving you with a pretty natural glow. The texture of the product is soft and it glides right on, no messing around or kerfuffle with applying it. theBalm's packaging is adorable and what first caught my attention from the brand, it is very different to the makeup brands out there which is a good thing. The packaging is fun, lighthearted and has a vintage feel to it. It also makes it the perfect gift for a friend and is beyond adorable, definitely on of the cutest beauty items in my makeup bag. Cute packaging, a great product, does what it says in the product description and is glittery; this highlighter truly has it all and I am so happy with it. I could not recommend it more and will be spreading the word of its awesomeness to my friends. Next on my list to try is theBalm Hot Mama blusher and Balm Desert Bronzer, I will definitely be investing in them this year.